We will collect your personal data via website forms where information is freely given and by direct interaction. This information includes your name, address and contact details for the purpose of providing architectural services i.e. on a contractual basis. We need to know your personal data to enable us to provide our architectural services; either in the capacity of offering a quote or our services upon acceptance of our quote. We will not ask for more information than is necessary to let us complete our services. Occasionally we will require bank information to enable us to issue refunds as and if required. We do not store or retain this information. 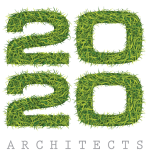 When you visit www.2020architects.co.uk we use a third-party service, Google Analytics, to collect standard internet log information and details of visitor behaviour patterns. We do this to find out things such as the number of visitors to the various parts of the site. This information is only processed in a way which does not identify anyone. We do not make, and do not allow Google to make, any attempt to find out the identities of those visiting our website. We will only hold your information for the duration of the project and for an appropriate time afterwards. We will not hold it for longer than is necessary. We may need to share personal information with other organisations, particularly relevant councils for Planning and Building Control Applications, Mechanical Engineers, Structural Engineers, SAP Consultants and Builders. These may be necessary part of the services we offer; however, we will only share information if it is necessary. You have a right to lodge a complaint with the Information Commissioner’s Office, Wycliffe House, Water Lane, Wilmslow, Cheshire, SK9 5AF.